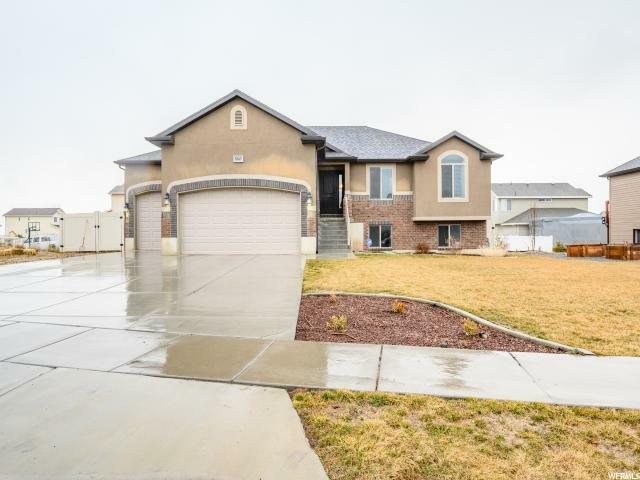 All Roy homes currently listed for sale in Roy as of 04/19/2019 are shown below. You can change the search criteria at any time by pressing the 'Change Search' button below. If you have any questions or you would like more information about any Roy homes for sale or other Roy real estate, please contact us and one of our knowledgeable Roy REALTORS® would be pleased to assist you. 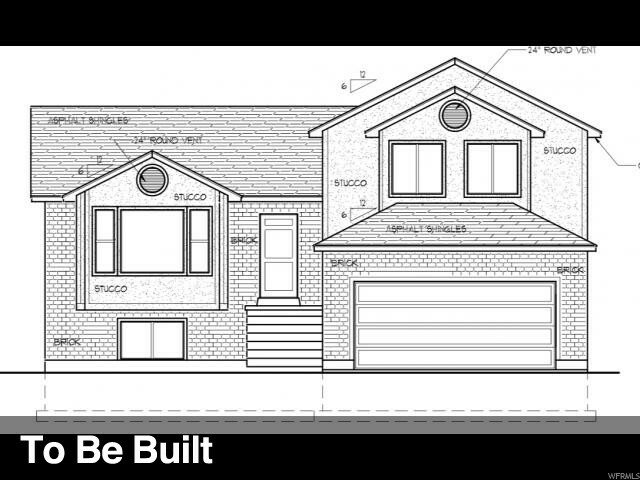 "Lot #11-Brand new rambler on large west facing 1/3 acre lot! Standard features: Custom cabinets with knobs and pulls, granite countertops throughout, tile floors, 3-tone paint & gas log fireplace. Mstr. suite has jetted tub/sep. shower & walk-in closet. This new sub. has lots ranging from .25 - .50 acres and other floor plans to choose from!! Call Agent for more information." 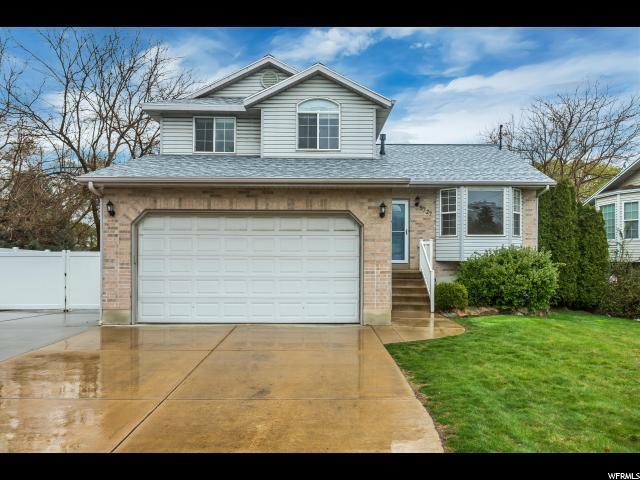 "Come home to your spacious 6 bedroom 3 bath RAMBLER in this quiet Roy neighborhood. Upstairs you'll enjoy the open floor plan, new carpet, fresh paint and vaulted ceiling, and 3 bedrooms Downstairs you'll have a large living space with wet bar 2 storage closets, 3 more bedrooms and full bathroom. Outside you have great deck, sprinkler system set on secondary water, a fully fenced vinyl yard and a patio ready for summer BBQs. The 3rd car garage has above storage and 220 W power source. Square footage figures are provided as a courtesy estimate only and were obtained from _Weber_county assessor record . Buyer is advised to obtain an independent measurement." 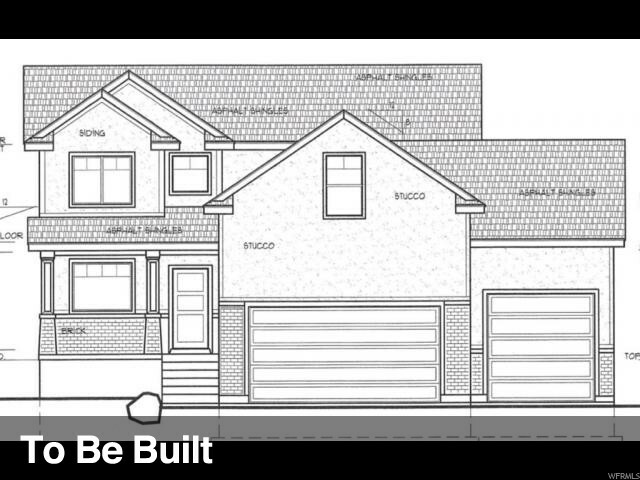 "Lot #4 - Brand new 4 bedroom 2-Story in Roy's Newest Subdivision. Standard features: Custom cabinets with knobs and pulls, granite counter tops throughout, tile floors & 2 tone paint. Mstr. suite has tub/sep. shower and walk-in closet. Back of home to have a 4x4 Trex landing with stairs down to a 6x6 concrete pad. Other lots and floor plans to choose from. Call agent for more information! " 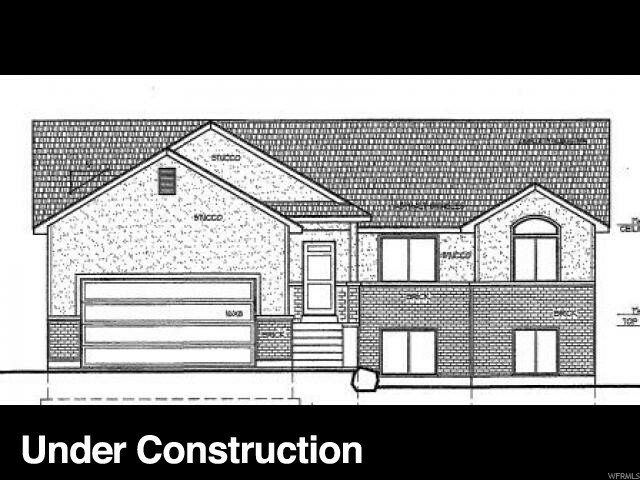 "Lot #2 - Brand new 4 bedroom 2-Story in Newer Roy sub. Standard features: Custom cabinets with knobs and pulls, granite counter tops throughout, tile floors & 2 tone paint. Mstr. suite has tub/sep. shower and walk-in closet. Back of home to have a 4x4 Trex landing with stairs down to a 6x6 concrete pad. Other lots and floor plans to choose from. Call agent for more information! Photos attached are of a similar home." "Beautiful rambler on large lot. Main level has been updated with new paint and flooring throughout living room, kitchen & entry. Enjoy the vaulted ceilings, kitchen granite & large master en-suite with separate tub/bath & walk-in closet. Plenty of room with two living spaces, 6 bedrooms, RV parking & shed. .41 acre yard has a large patio, automatic sprinklers, is fully fenced & has a basement walk out from the RV parking. Just a 5 minute drive to I-15 and Hill Air Force Base, also near the Rec Center & golf course." 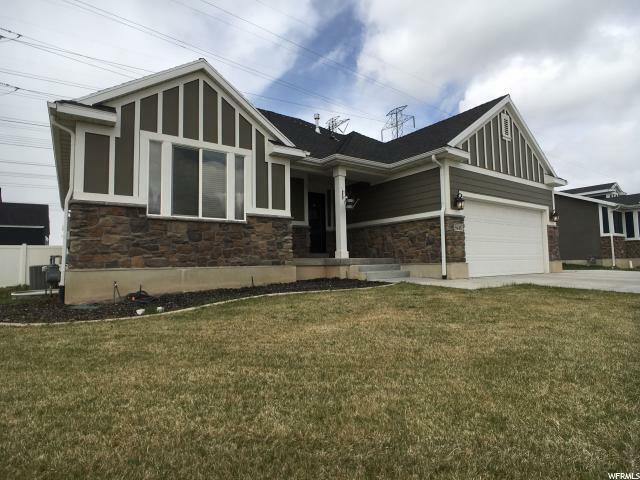 "You must see this beautiful rambler in Roy. This home is situated on a large lot on a private street! Gorgeous kitchen with large pantry and lots of natural light! Wide open layout with a cozy fireplace in the living room! Newer flooring! Master suite with walk in closet! Fully finished basement that includes second kitchen and laundry. Relax on your large wrap-around porch or on your covered patio. There's so much to love! Don't miss out. Schedule a private tour today. Buyer to verify all information." "Pride of ownership shows in this immaculately maintained one owner home! Spacious kitchen, dining and family room. Four big bedrooms and three full baths. Master bedroom with bay window & walk-in closet. Master bath with double sinks, separate shower and large jetted tub. Plenty of room to park all your cars and toys. Over-sized 3-car garage with additional parking pad and RV parking. Storage galore in cement crawl space below formal living room and kitchen (lighting and electricity in this area also). Other features include a covered front porch, covered back patio, fully fenced backyard, automatic sprinklers and storage shed. Must call for appointment! Subject to seller finding a home of their choice." "Lot #3 - Brand new multilevel with room to grow in the unfinished basement. Standard features: Rock & Stucco front with custom cabinets with knobs and pulls, granite countertops throughout, tile floors & 2- tone paint and finished family room. Other lots and plans are available... Call Agent for more information!" "BEAUTIFUL HOME AND LOCATION*WELL MAINTAINED HOME WITH 5 BEDROOMS, 4 BATHS, 2 FAMILY ROOMS*FULLY LANDSCAPED YARD WITH NO BACKYARD NEIGHBORS*FULLY FINISHED, UPDATED KITCHEN*COVERED BACK PATIO IS A GREAT PLACE FOR FAMILY BBQ'S AND HAS A NICE FUNCTIONING HOT TUB*LARGE RV PARKING WITH COVERED AREA FOR AUTO OR BOAT*BACKYARD FULLY VINYL FENCED*EXCELLENT NEIGHBORHOOD THAT'S CLOSE TO ALL AMENITIES*"
"This home is to be built like the Model Home located at 2756 W 4800 S in Roy. 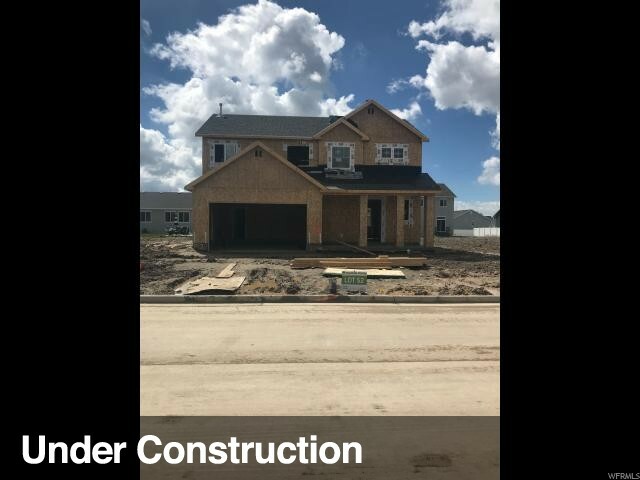 The pictures shown are of the Model Home and the price shown is with all the upgrades shown in the Model Home, such as Granite Countertops, laminate flooring in the Kitchen, and the Grand Master Bathroom. Call the listing agents for an appointment to walk through the model home." "Affordable NEW home w/great features! 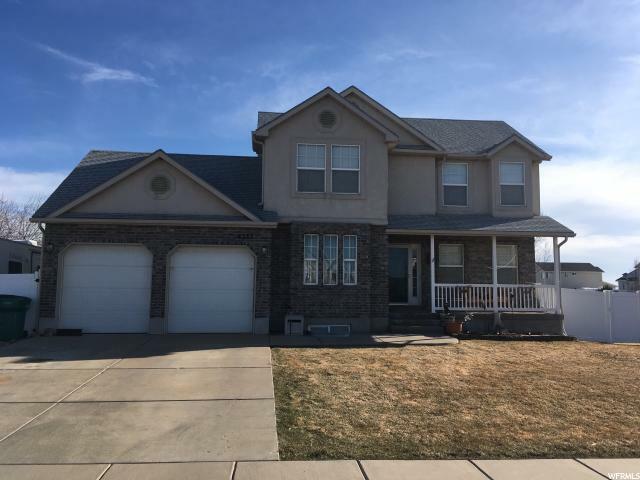 White cabinetry, Granite tops thru-out, Grand master bath w/double sinks, 9ft ceilings on main, Large great room on main & huge bonus room finished upstairs, SS gas range, dishwasher & microwave. Est. August 2019 completion. Designer selected finishes. 5 minute to freeway entrance or HAFB." 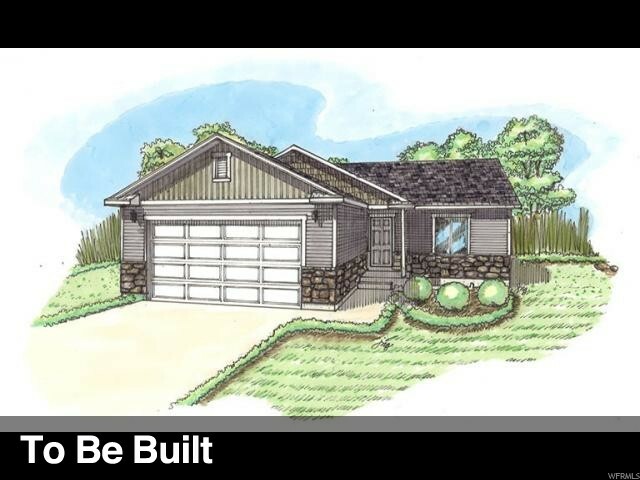 "Lot #9-Brand new rambler with 3 beds, 2 full baths & room to grow in the unfinished basement! Standard features: Custom cabinets with knobs and pulls, granite countertops throughout, tile floors & 2- tone paint. Master suite has a garden tub & walk-in closet. Call Agent for more information." "Want a house with your new Workshop? Room for everyone & their vehicles/toys! Spacious floor plan with 5 bedrooms, 3.5 Bathrooms, vaulted ceilings and a trendy color scheme ready for your own personal decor'. 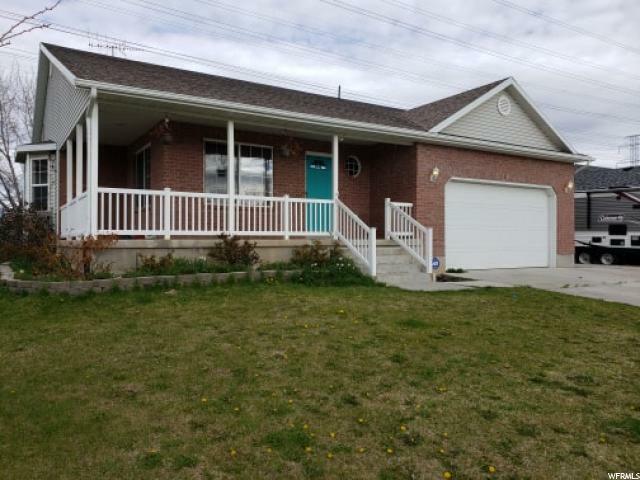 This home offers a huge detached garage/workshop with approx 4 additional parking spaces, home projects, 220 power and the option to purchase the car lift! Man Cave or She Shed, this home will deliver it all! Customize this home to include bedrooms or additional den/office space. Room for everyone! Enter your backyard paradise with plenty of room to entertain, BBQ or play! This home offers RV parking for toys or additional guests. You simply can't build for this price with this garage/shop space! ** FULL MOTION VIDEO OF THIS HOME AND SHOP COMING SOON ** Square footage figures are provided as a courtesy estimate only and were obtained from an old MLS. Buyer is advised to obtain an independent measurement." "Move in ready! 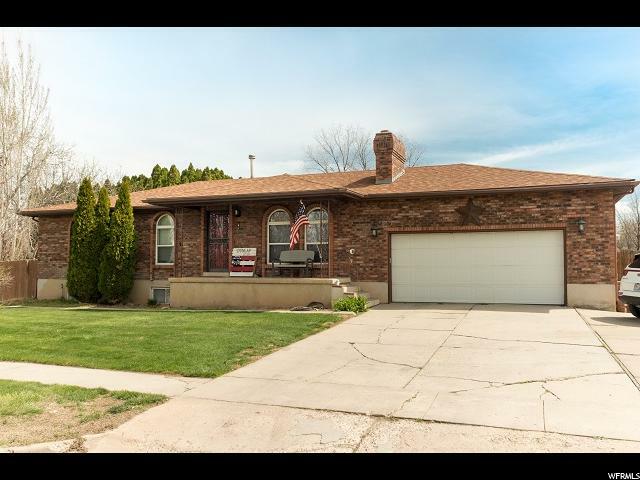 Great location in Roy with 3 bedrooms and 2 1/2 baths. Master suite on it's own level. Featuring double pane windows, gas log fireplace and an unfinished basement with room to grow. Big open fully fenced backyard. This home is sure to go fast! " "NEW 2 STORY TO BE BUILT IN ROY. 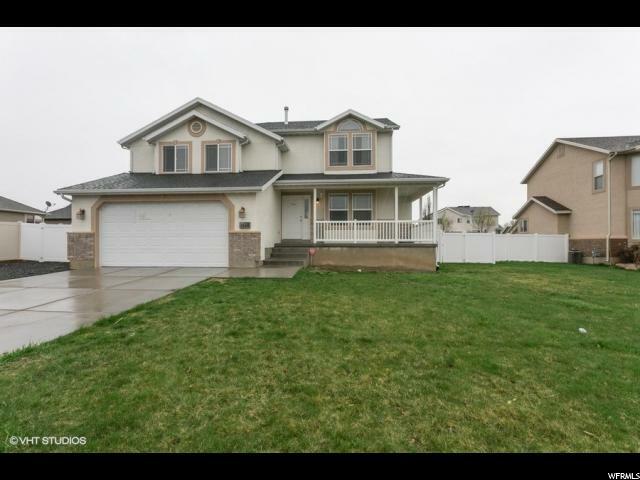 4 bedrooms, 2.5 baths and THREE CAR GARAGE Walk in to be greeted by a beautiful open concept living area with kitchen/dining/great room. Home will have granite counter tops, 95% High Efficiency Furnace and a 10 X 10 cement patio plus room to grow into an unfinished basement. Come pick some of your colors and put your personal touch on this beautiful home. Great value just west of West Park in Roy. Home to be built similar to the pictures. Also features an Island Snack Bar and a grand Master Bath." "New rambler just getting started in great location in Roy. Just west of the Roy West Park. Call listing agents for more information about specific upgrades in home. There is an Island in the Kitchen. Great design with grand master bath that includes a Soaking tub and a separate shower. hurry and you may be able to pick your own colors." 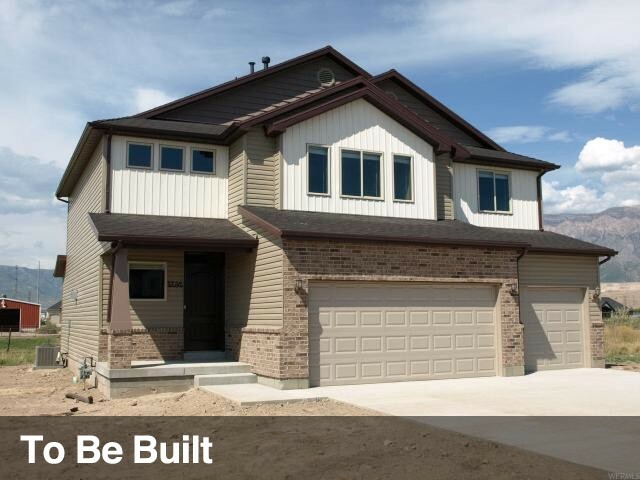 "Lot #6-Brand new home with 3 beds, 2 full baths, room to grow in the unfinished basement & a 3 car garage! Standard features: Custom cabinets with knobs and pulls, granite countertops throughout, tile floors & 2- tone paint. Call Agent for more information"
"Come see this beautiful 2-Story settled on a quiet street in an awesome Roy neighborhood. This house has an amazing front porch, an incredible formal dining area, a quaint backyard deck, a ready to plant garden spot, mature fruit trees and tons of storage both inside and outside the home! It has been meticulously cared for and the majority of the floor coverings have recently been updated. 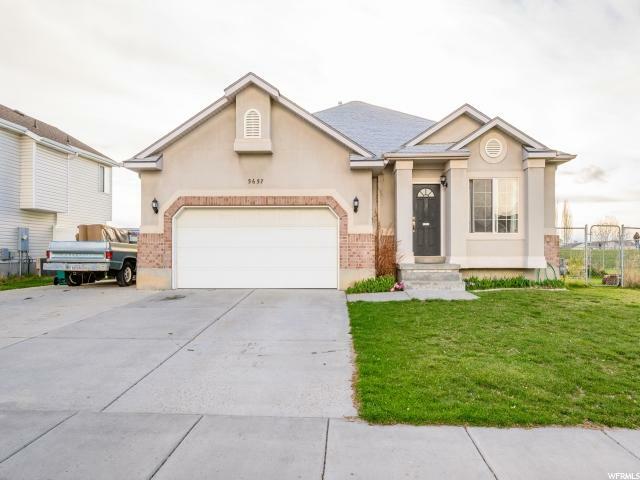 The home is located close to schools, dining, shopping, freeway access, and Hill Air Force Base. A fourth bedroom is finished except for floor coverings and finish work in the basement. Bring your pickiest of buyers...this will not last long!" "You've found it! Large 7-bedroom, 3 bathroom home in Roy neighborhood. Next to the park, running path, and minutes to Hill Air Force Base. Living room has vaulted ceiling. Kitchen has an extra long bar and two large pantries. Laundry is located on the main floor. The fully fenced backyard is fully landscaped and has two peach trees. Extra wide driveway for additional RV parking (35' long). New roof in 2017 with energy star 30 yr shingles. Seller will replace carpeting in the three bedrooms on the main floor. Open House is Wednesday from 4 p.m. to 6 p.m. No showings before open house. Property is tenant occupied." "Don't miss this one! Quiet cul de sac on a nice sized lot. 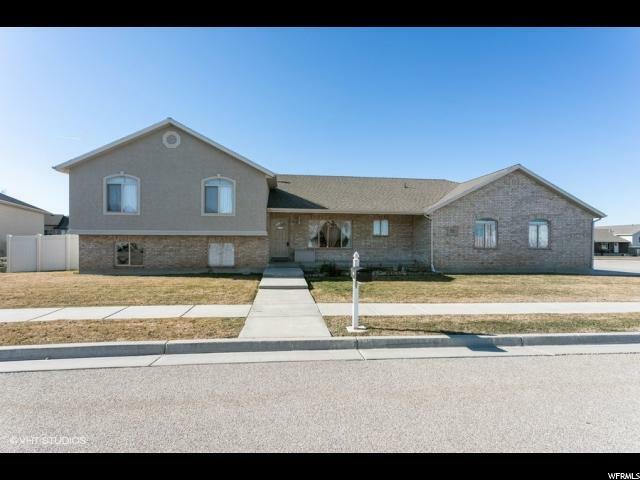 Clean and well cared for home with 5+ bedrooms and 3 baths. Vaulted ceilings. RV pad & fully fenced. Nice covered back patio for entertaining. Storage shed included. Great home for a growing family! Walking distance to elementary, preschool, parks, golf course, aquatic ctr. Close to shopping. Minutes to Hill AFB. Square footage figures are provided as a courtesy estimate only and were obtained from county records. Buyer is advised to obtain an independent measurement." 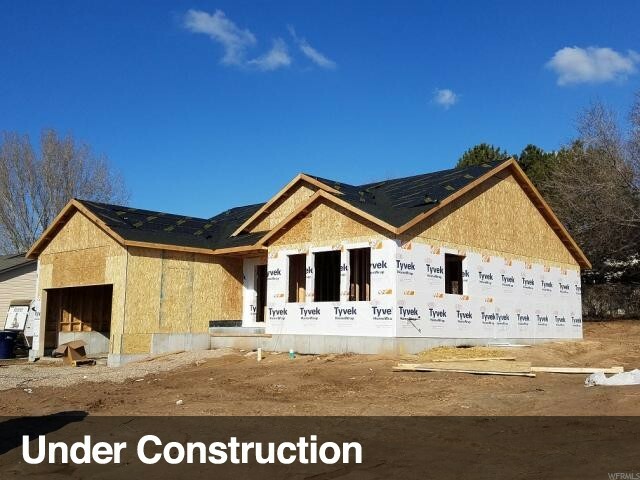 "New 2 story Home now being built on last lot in Phase 2. This home will be completed in 2 to 3 months. Last new home under $300,000. Land costs and building costs keep going up. And interest rates have come back down. Great time to buy. Located near Roy City West Park and walking and biking path. 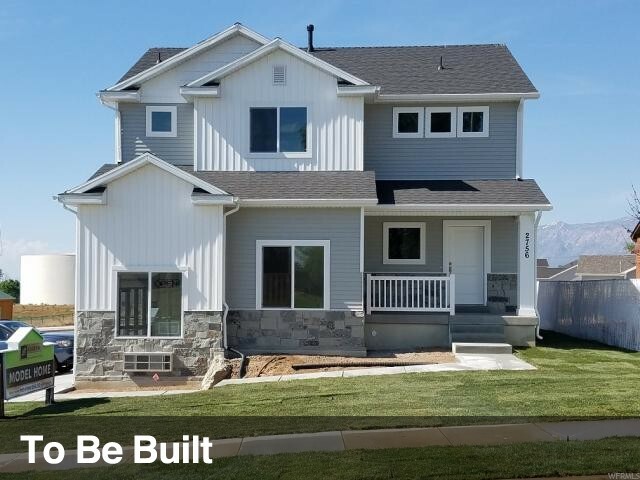 Visit the Sierra Homes Model at 2756 W 4800 S in Roy to see the quality of construction and options available." "Awesome Rare find in Roy! Very Nice Brick Rambler on a .50 Acre Lot with a Super Cool Back Yard including a Fun Tree House and Extra Big Shed/Work Shop with a Garage Door! This great home has so much to offer starting with the new granite counter tops in the kitchen and hall bath. Updated lighting and new carpet along with beautiful new laminate flooring in the main family room. The whole home is really clean and well maintained. It has all vinyl windows and the back side along with the sliding door to the patio are brand new last year. The home was installed with solar panels last year as well and are owned and paid for, so your power bill is only around $20 month! The basement has a large family room for gathering and you'll love slipping into the Calspa 4 Seat hot tub built into the basement bathroom after a long hard day. Tons of room to relax out back on the newly extended patio while you watch your kids or dogs play in the huge half acre yard. There's also plenty of room for you RV and toys to be parked. The home faces West so you can enjoy the shade back there half way through the day all summer long! This home will go fast so call us right away to see it!" 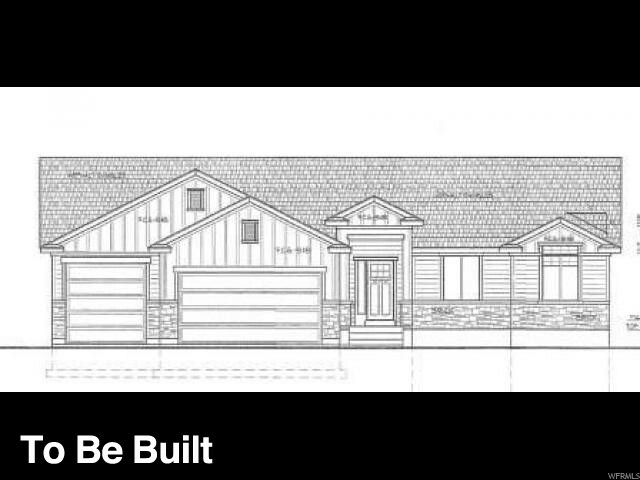 "New home to be built by Sierra Homes in West Park in Roy. 1 level home plus an unfinished basement for storage or future expansion. Visit the Sierra Homes model at 2756 W 4800 S in Roy to see the quality of construction. Several other home plans to choose from and several other lots available to build your 1st home or your dream home."